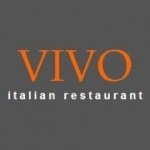 Welcome to VIVO - Italian Restaurant, Stapleford, Nottingham. Our family run business has been established since December 2007. We pride ourselves in combining good quality, fresh ingredients and the skill of our chefs to make authentic Italian dishes. Our aim is to bring a little bit of Italy to your front door! We are located in the heart of Stapleford (6 miles from Nottingham) and only 5 minutes from the M1 motorway. Please contact us to book or to discuss your arrangements, we are happy to cater for groups and please browse the site to look at our menus. We hope you enjoy VIVO and that our passion for the food we serve you, makes your visits to us even more enjoyable.